Anthony helped me a bit with tonight’s craft. In all truthfulness he did the whole thing – traced, cut, drew, posed, smiled etc. What a wonderful husband I have! 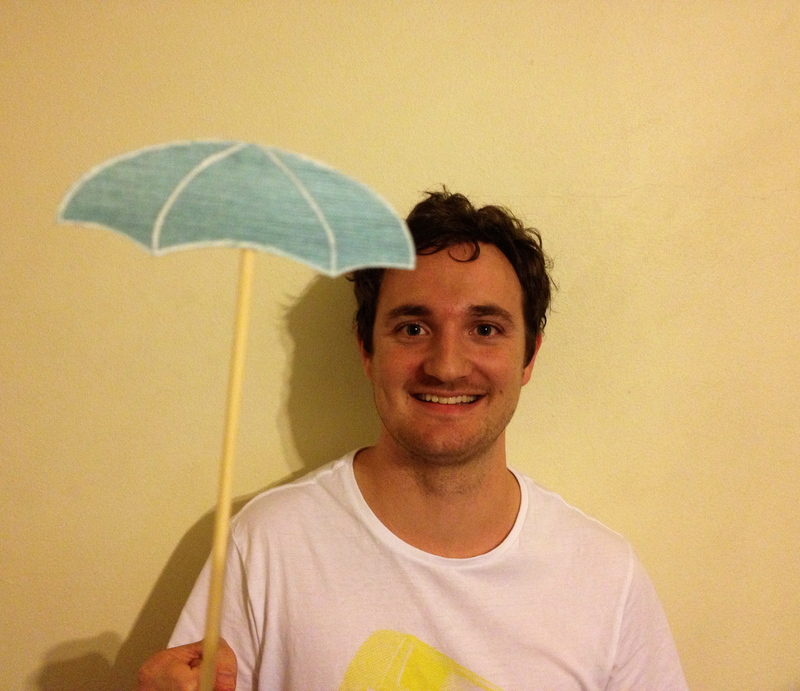 He made this cute little umbrella photo prop. too cute. Umbrellas are so fun to create for artworks sake. Ooh, I do like that as a prop for photos! Nice shape too. 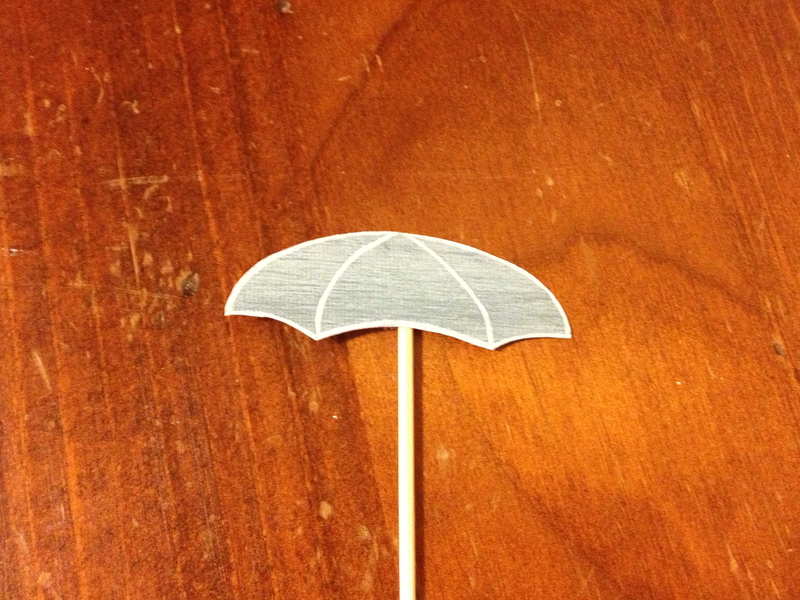 Love how you have tried to make the umbrella look huge. Well done Anthony.